Home All Articles Has Fernando Alonso missed his shot at a third World Championship? Has Fernando Alonso missed his shot at a third World Championship? Who has been the star performer of the 2014 Formula 1 season thus far? 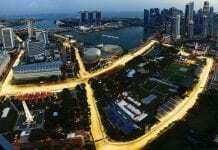 The Mercedes pairing of Nico Rosberg and Lewis Hamilton are on top form in a stellar car, while Daniel Ricciardo and Valtteri Bottas have established themselves as grand prix stars of the future at Red Bull and Williams respectively. However, there is a case to suggest that this year’s top performer has been flying under the radar. With two podium finishes and points at every race in a sub-par Ferrari, Fernando Alonso has been at the peak of his powers this season. But the real gauge of Alonso’s quality comes when comparing him with team-mate Kimi Raikkonen. While the Finn has struggled to adjust to the 2014 Ferrari, the stats are nevertheless incredible. Alonso is the only driver to finish ahead of his team-mate at every grand prix this season, and on more than one occasion he has taken the chequered flag a full minute clear of Raikkonen. Fernando has 115 World Championship points, Kimi 27; that leaves them fourth and 12th respectively in the standings, by far the biggest gulf between team-mates. It is interesting to note that Alonso has won more praise throughout his four-and-a-half-year spell with Ferrari than during his earlier successes with Renault. World Champion in 2005 and 2006, his reputation was tarnished by a pair of scandals – ‘Spygate’ in 2007 and ‘Crashgate’ in 2008/09 – to which he remains inextricably linked. He has since been rehabilitated at Ferrari. Alonso is now seen as a near-complete competitor who regularly drags an under-performing car to places it has no business; his on-track battles are often epic but always fair; and away from the circuit he has become a more open character through his regular use of social media. But all of this means little to Alonso, who recently expressed his frustration at continuing to fight for meagre rewards. His message is clear: keep the plaudits – all I want is a third World Championship. Recent reports have suggested that Alonso is negotiating a new $50m per season deal with Ferrari that would tie him to the team until 2019, by which time he will be 38 and surely ready for F1 retirement. Given the team’s recent struggles, re-signing with the Scuderia would mean Alonso accepting the possibility of not winning another world title – in exchange for a very handsome pay packet. His alternatives are limited. McLaren, the team where he spent an incredibly turbulent 2007 season, are believed to want him back, but the Woking-based squad are in the midst of transition. They will swap Mercedes engines for Honda power next year, and there is no guarantee that they will be back at the front any sooner than Ferrari. He has also been linked with the resurgent Williams team, but it is doubtful that Alonso will put his future in the hands of a privateer outfit when he has automotive giants such as Ferrari and Honda chasing his signature. Which means the 33-year-old is likely to remain with the Maranello squad, be that until his current deal ends in 2016 or through 2019. Given his age and the Italian outfit’s deficit to pacesetters Mercedes, it is conceivable that Alonso will never join the three-time World Champions club. For many, Alonso already belongs in that category. 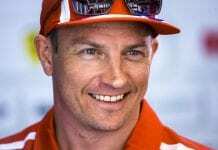 On pure driving ability, he will go down in history as the equal of Sir Jackie Stewart and Niki Lauda – both three-time champions – and perhaps even four-time title-winners like Alain Prost, or Alonso’s long-time rival Vettel. But he will not be satisfied. He may earn more money and praise than most grand prix drivers could dream of, but for Fernando Alonso that is no longer enough. I’m playing F1 2013. Are you?